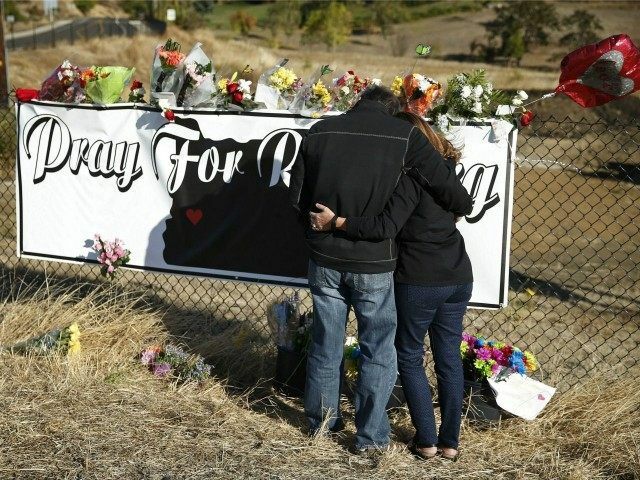 Those are the words of TrueNorth Star Ministries Director Christy Grammon, who spoke exclusively with Breitbart News about the way many in Roseburg, Oregon, have responded to the news that Christians were singled out and murdered during the Umpqua Community College massacre. Although their faith was attacked, their faith has not been shaken. If anything, the shooting that President Obama immediately attempted to poiliticize for his gun control agenda has ended up strenghening the faith of many in Douglas County. Grammon’s group conducted prayer and worship services on the front lawn of the Douglas Country Courthouse all weekend in conjunction with a number of different churches and denominations. The messages and music happened nonstop, 24 hours a day over the weekend, and ended mid-morning on Monday.